We don't know what to believe anymore. 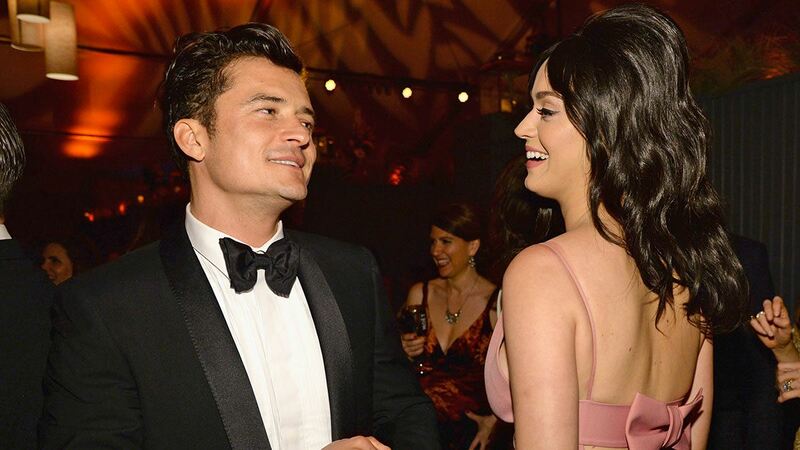 Katy Perry basically confirmed she and Orlando Bloom are back together. On the season finale of American Idol, the singer confessed her love to Bachelorette Becca Kufrin, and then let it slip that she's not single. "Can I be in the running?" Katy jokingly asked the Bachelorette contestant, as she got down on one knee to give Becca a kiss on the hand. "Yes, I'll give you all my roses," Becca responded, but then Katy said, "I'm not single but I still like you." !!!!!! Okay, yes, she didn't technically say Orlando's name, but at this point, it's like... who else could it possibly be? The on-again-off-again couple has been spotted together multiple times in the last few months, the most recent time being when they went to Vatican City in Rome together and met the Pope. The Pope! Regardless of your personal faith, if you make an appearance together as a couple in front of one of the most important religious figures in the world, that's basically like changing your relationship status on Facebook, right? That's like getting the ultimate blessing. Orland gave an interview in April where talked about Katy, and said, "She's a remarkable human being, actually." Because of their age difference, he didn't know that much about her when they met. "I wouldn't have imagined anything happening," he said. "And, you know, when you get hit sideways you get hit sideways. You don't pick who you fall in love with."